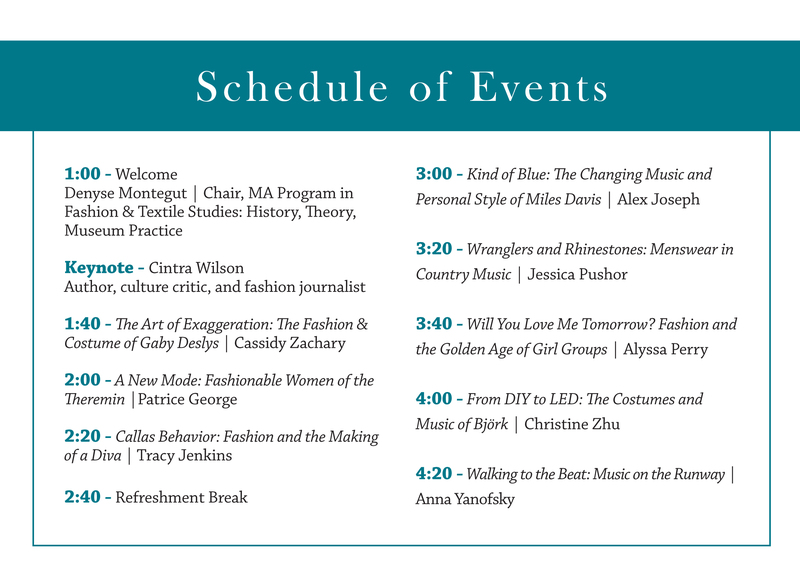 We are thrilled to invite you to our program’s annual symposium. This year papers will address the special relationship between fashion and music. In the next couple of weeks we will post the abstracts of the papers to give you a taste of what’s coming! Please join us on Saturday May 5th. 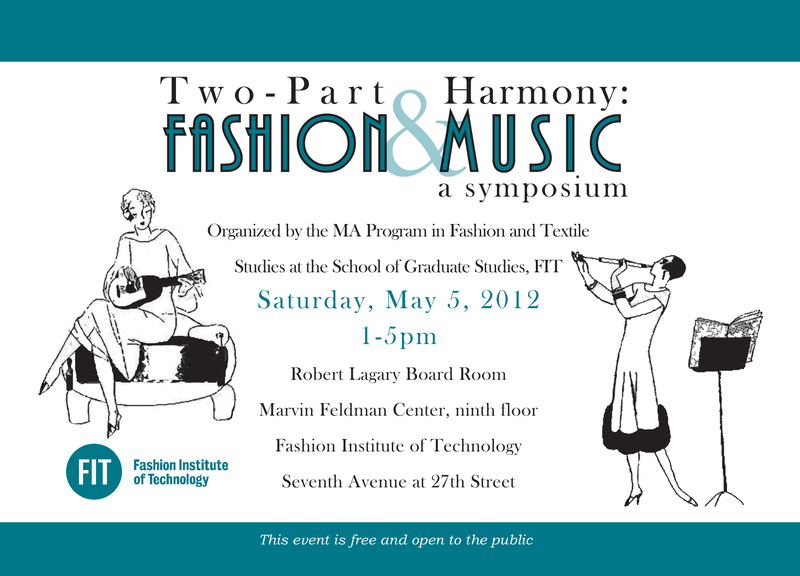 The symposium is free and open to the public. This entry was posted in Symposium and tagged fashion & music, music, symposium. Bookmark the permalink.